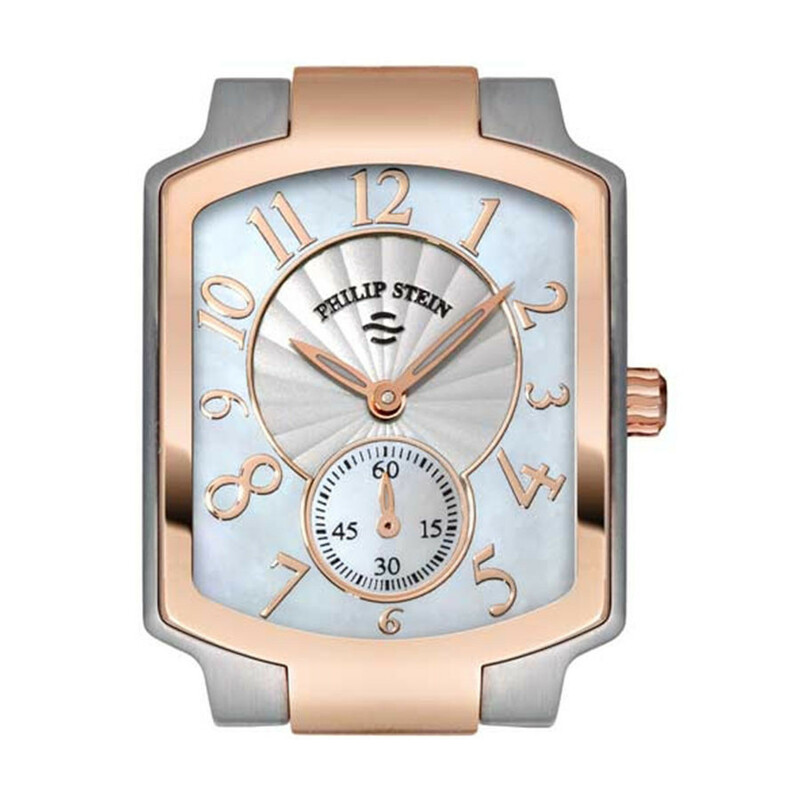 Your style won't get a bad name if you accessorize with this exceptional Classic collection watch from Philip Stein. With lush rose gold accents, the stainless steel case is embedded with Natural Frequency Technology to keep you relaxed and calm while looking fabulous. The single time zone dial floats elegantly over a luminous Mother-of-Pearl face with rose gold numbers, and any 18mm watch strap can give this watch a look you'll love. When versatility is a factor, enjoy this amazing Philip Stein timepiece. Watch straps are sold separately, and JR Dunn has a 10-day satisfaction guarantee for all Philip Stein products.